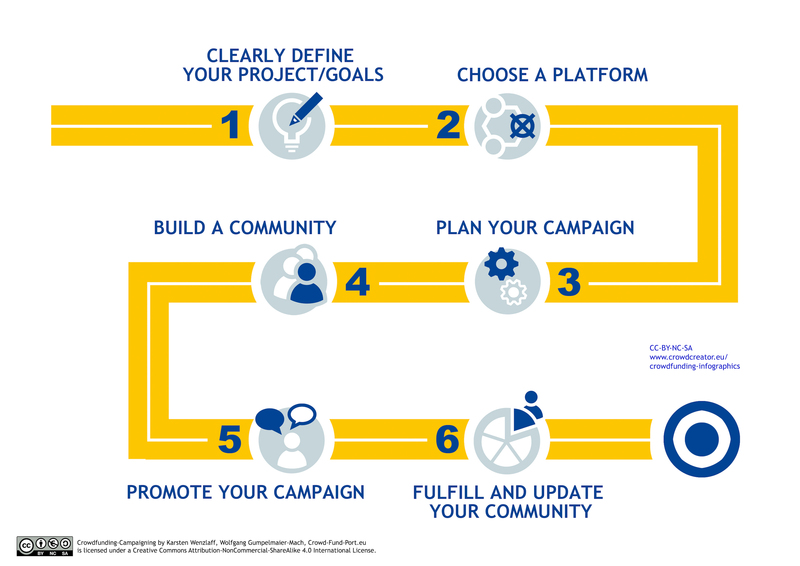 As part of the Interreg-project Crowd-Fund-Port, funded by the European Union, Karsten Wenzlaff and Wolfgang Gumpelmaier-Mach conducted a set of Training Materials for Crowdfunding for local consultants, to support them in coaching and training SME’s who are planning to start a Crowdfunding-campaign. 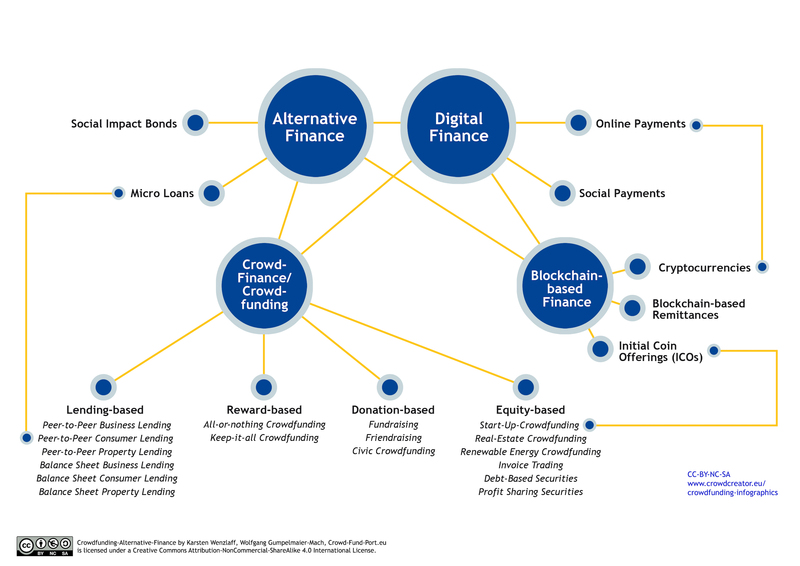 On the on hand, the Training Materials give a short introduction in Crowdfunding and on the other hand allows a deep dive into the world of this alternative financing model. 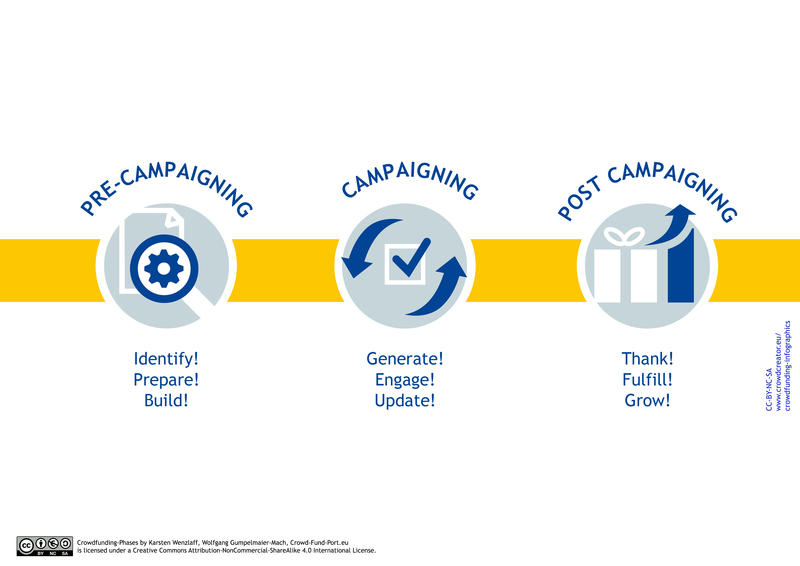 It covers the different phases of Crowdfunding, from pre-campaigning to campaign-launch and post-campaigning and illustrates this process with several best practices from Europe and around the world. 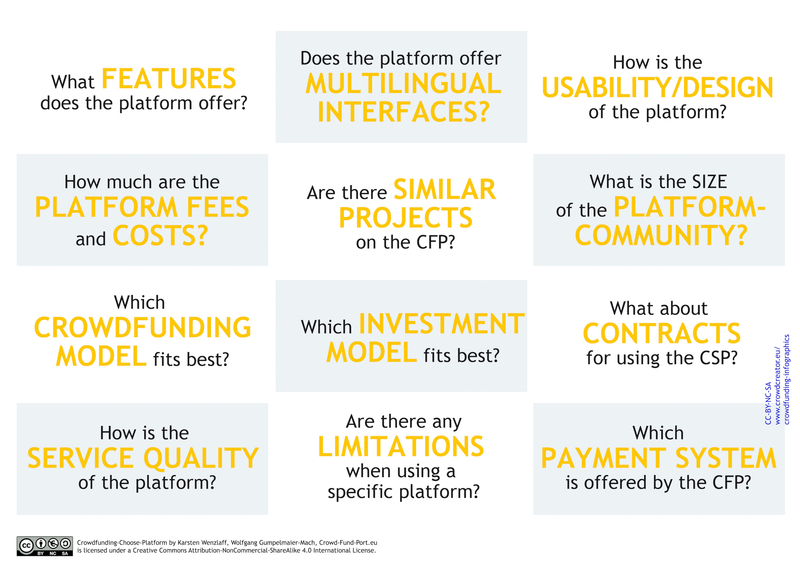 For this Training Materials we created some infographics, which help ongoing project-starters to better understand the process and particularities of Crowdfunding. We published those infographics on Crowdfunding under a Creative Commons Attribution-NonCommercial-ShareAlike 4.0 International License. 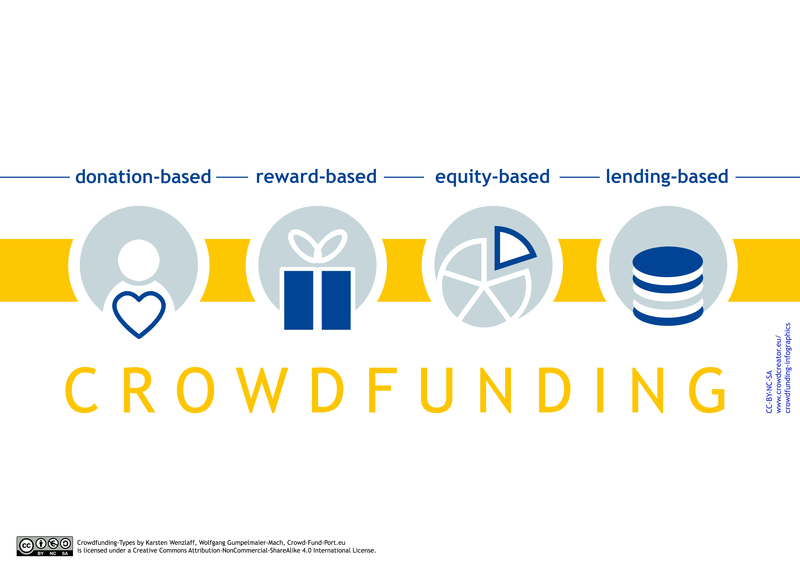 Please feel free to use and distribute our infographics and spread the word about Crowdfunding! Crowdfunding-Definition by Karsten Wenzlaff, Wolfgang Gumpelmaier-Mach, Crowd-Fund-Port.eu is licensed under a Creative Commons Attribution-NonCommercial-ShareAlike 4.0 International License. Crowdfunding-Crowdsourcing by Karsten Wenzlaff, Wolfgang Gumpelmaier-Mach, Crowd-Fund-Port.eu is licensed under a Creative Commons Attribution-NonCommercial-ShareAlike 4.0 International License. 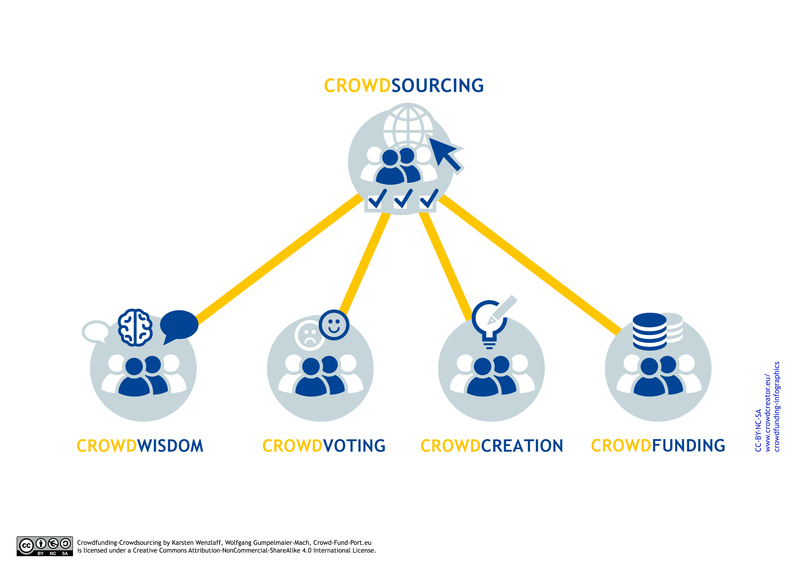 Crowdfunding-Types by Karsten Wenzlaff, Wolfgang Gumpelmaier-Mach, Crowd-Fund-Port.eu is licensed under a Creative Commons Attribution-NonCommercial-ShareAlike 4.0 International License. 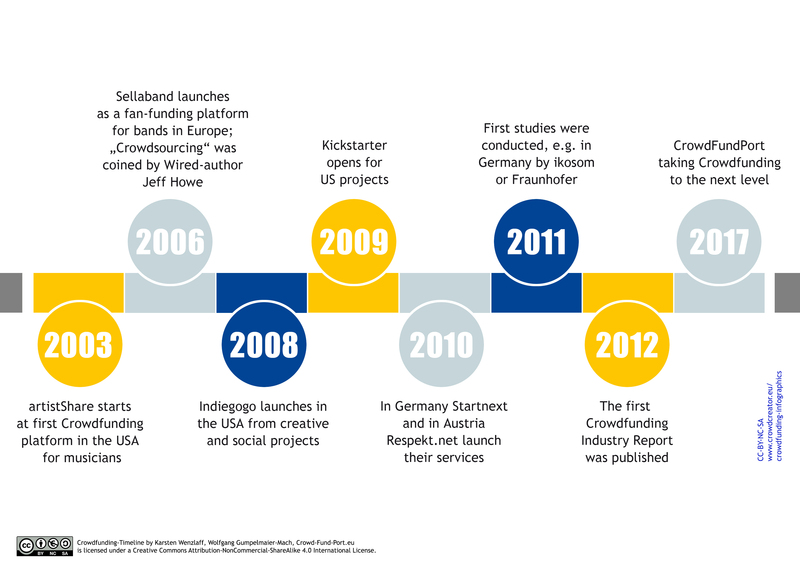 Crowdfunding-Timeline by Karsten Wenzlaff, Wolfgang Gumpelmaier-Mach, Crowd-Fund-Port.eu is licensed under a Creative Commons Attribution-NonCommercial-ShareAlike 4.0 International License. 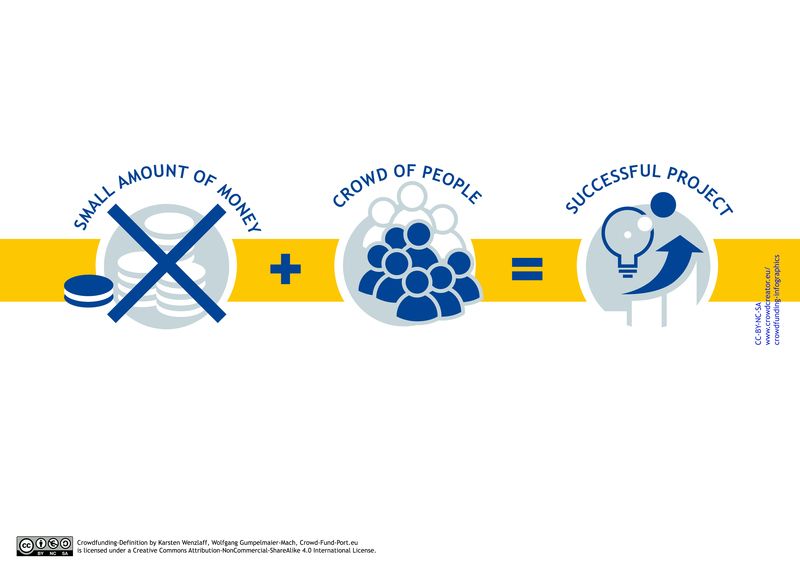 Crowdfunding-Added-Values by Karsten Wenzlaff, Wolfgang Gumpelmaier-Mach, Crowd-Fund-Port.eu is licensed under a Creative Commons Attribution-NonCommercial-ShareAlike 4.0 International License. Crowdfunding-Valley-Of-Tears by Karsten Wenzlaff, Wolfgang Gumpelmaier-Mach, Crowd-Fund-Port.eu is licensed under a Creative Commons Attribution-NonCommercial-ShareAlike 4.0 International License. 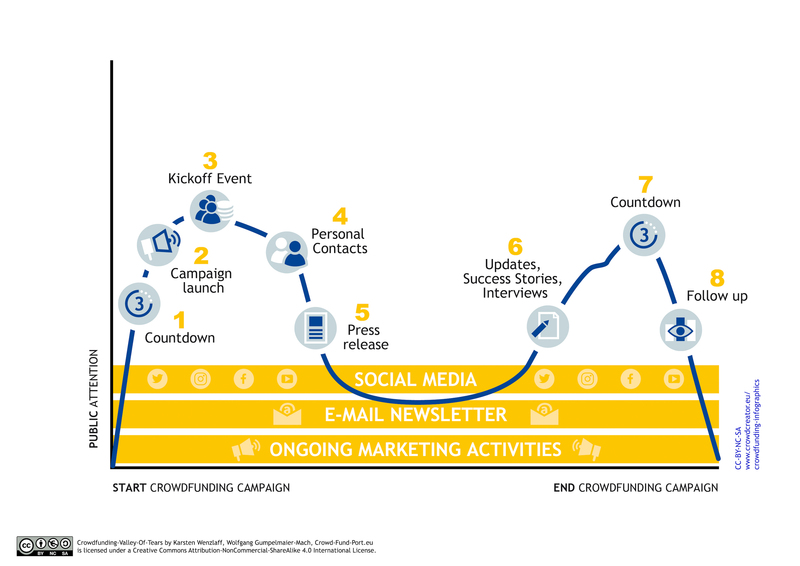 Crowdfunding-Phases by Karsten Wenzlaff, Wolfgang Gumpelmaier-Mach, Crowd-Fund-Port.eu is licensed under a Creative Commons Attribution-NonCommercial-ShareAlike 4.0 International License. 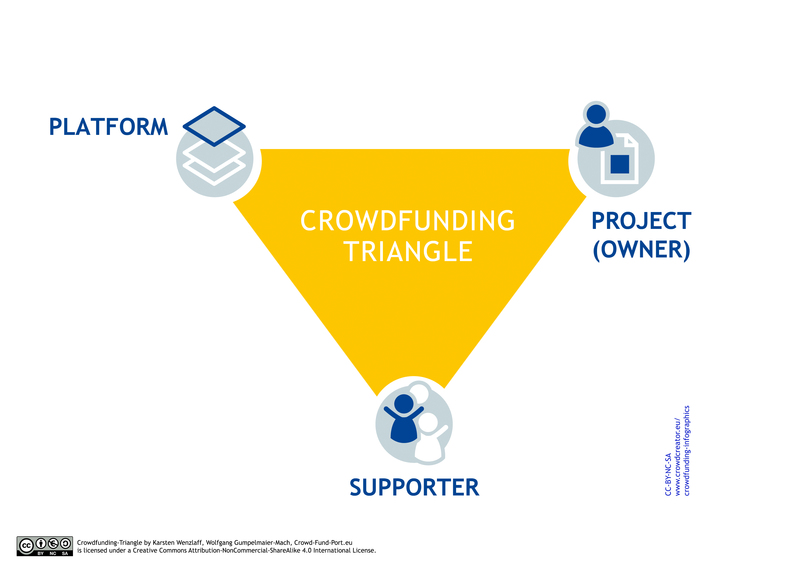 Crowdfunding-Triangle by Karsten Wenzlaff, Wolfgang Gumpelmaier-Mach, Crowd-Fund-Port.eu is licensed under a Creative Commons Attribution-NonCommercial-ShareAlike 4.0 International License. Crowdfunding-Campaigning by Karsten Wenzlaff, Wolfgang Gumpelmaier-Mach, Crowd-Fund-Port.eu is licensed under a Creative Commons Attribution-NonCommercial-ShareAlike 4.0 International License. 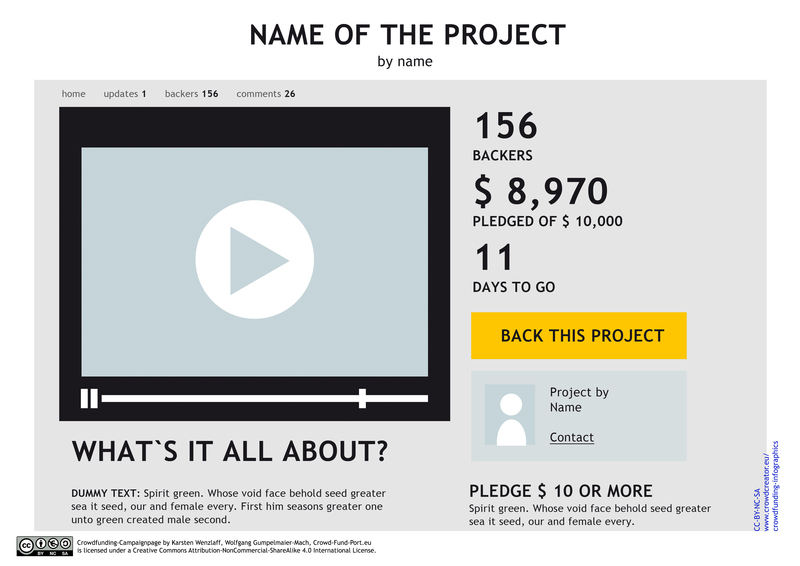 Crowdfunding-Campaignpage by Karsten Wenzlaff, Wolfgang Gumpelmaier-Mach, Crowd-Fund-Port.eu is licensed under a Creative Commons Attribution-NonCommercial-ShareAlike 4.0 International License. Crowdfunding-Choose-Platform by Karsten Wenzlaff, Wolfgang Gumpelmaier-Mach, Crowd-Fund-Port.eu is licensed under a Creative Commons Attribution-NonCommercial-ShareAlike 4.0 International License. Crowdfunding-Alternative-Finance by Karsten Wenzlaff, Wolfgang Gumpelmaier-Mach, Crowd-Fund-Port.eu is licensed under a Creative Commons Attribution-NonCommercial-ShareAlike 4.0 International License.